Every home needs a bedroom that is comfortable, relaxing and chic. A space of repose where you can escape every day. 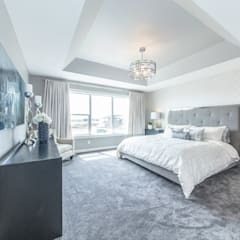 Creating the perfect bedroom is easier said than done but, with a few basic rules, you can design a bedroom that’s the stuff of dreams. Our bedroom ideas, shared regularly through the magazine section, reveal how the simplest of changes can give your bedroom a gorgeous makeover. 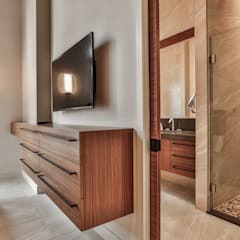 If you are still stumped, get a free consultation which connects you with the talented interior designers on homify. 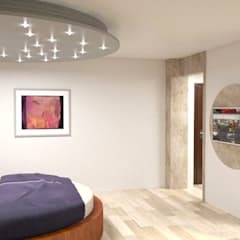 What rules should I follow while designing a bedroom ? To decorate any space, always begin with the essentials. 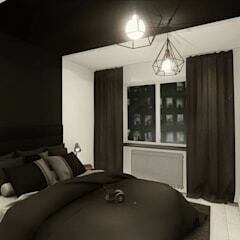 Never shy away from throwing a little personal style in your bedroom. You should start by measuring the space and making a detailed list of the must have items. This is applicable for every one of your bedrooms and not merely the one you are going to inhabit. Worldwide, soaring property prices are affecting the size of the interiors and Canada is not immune to this problem. But always remember you can decorate a stylish room irrespective of the amount of the space it occupies. Focus on the functional aspect and comfort. The cynosure of all eyes, quite naturally, is your bed. Choose one which not only looks trendy but feels comfortable. Full beds are always more comfortable than the half beds. So if you do not have any space constraint, invest in a quality full sized bed. Despite a change in tastes, wooden beds continue to remain the favourite most option. When it comes to natural wood, from cedar to maple, walnut to mahogany the choices are many. Each has its very unique set of characteristics which include colour and texture. High quality hardwood beds tend to be very durable. 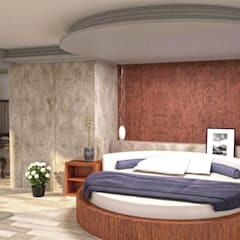 Natural wood can be carved into a design suitable for the contemporary bedrooms as well as the classical ones. You may also consider buying beds made of wrought iron, recycled or engineered wood. Take due care while choosing mattresses, bed furnishings and cushions. During your purchases, never compromise on the quality. Buy a suitable wardrobe and dressing table if this space is also accommodate a dressing room. Floor to ceiling built in wardrobes can turn out to be a better choice than a standalone armoire. 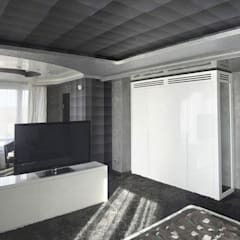 Even without a dressing room, you will have to plan for sufficient storage space, especially if this is only a small to moderately sized room that you are decorating. 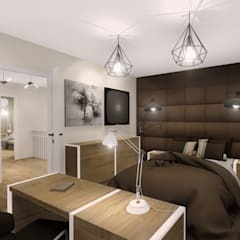 What bedroom layout should I choose? Does your master bedroom echo? Do you stub your toe every time you get out of bed? 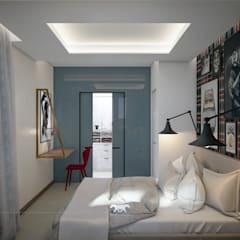 Spatial organization can be tricky but a few basic bedroom layouts will help you create a bedroom you'll love whether it’s rustic, romantic, minimalist, industrial or eclectic. Master Suite: A master bedroom should have enough space for a queen- or king-size bed. Opt for the bed against a wall with matching bedside tables and lamps. Place a dresser or seating area on the opposite wall. Use a large rug to anchor and fill the space. 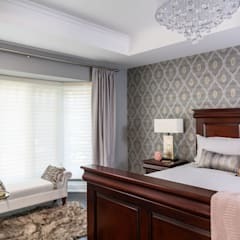 Guest Bedrooms: Your guests will appreciate a comfortable, cozy bedroom furnished with a comfy bed and other accessories that make them feel at home. Buy a space-saving daybed or sofa bed that fits smartly against the wall and out of the way. Guest bedrooms often double as a home office so pick something versatile. Closet space is always necessary and built-in cupboards are a great way to maximize the space. 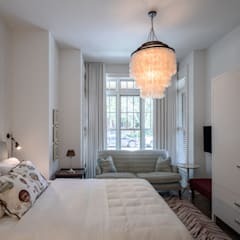 Small and narrow bedrooms: If you live in a condo in Canada, your bedroom layout is barely big enough to fit a bed but there are a few clever ideas to help you maximize the space. Opt for a smaller double bed with built-in storage in lieu of a dresser. Place the bed against the wall to leave as little room as possible on one side. Use floating shelves instead of bedside tables. If there isn’t space for a closet, invest in a rack. What colour palette should I choose for a bedroom? Modern Canadian homes seem to have a preference for shades of white and grey. A colour scheme dominated by anyone or both of these can give a clean and organised feel to the interiors. The warm effects of beige cannot be ignored either. Pastel shades are capable of creating an enchanting ambience. You can also experiment with bold bedroom colours like bright orange, luscious red or kohl black. However, always remember that this space is meant for resting and relaxing. Do not opt for a colour scheme that seems to be too exciting. The novelty of such a scheme may fade with time, leaving you with a room that hardly feels comfortable or looks fashionable. 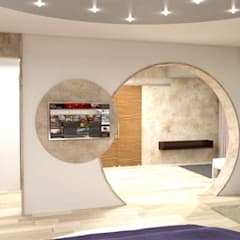 Consider giving the feature wall a slightly different look than the rest of the room. Choose a different but complementary shade for this wall or opt for wallpaper with subtle motifs. Fabric walls can spruce up your feature wall and also give your room some acoustical advantages.